The announcement from Virat Kohli drew a round of applause from the spectators present at the stadium. India cricket team captain Virat Kohli dedicated his team’s win over England at Trent Bridge on Wednesday to the flood victims of Kerala. Nearly 370 people have lost their lives while lakhs have been rendered homeless in one of the worst floods in the history of Kerala. “First and foremost we as a team want to dedicate this victory to the flood victims in Kerala,” Kohli said after India’s 203-run victory. “People are going through a lot. This is our bit we can do,” he said at the presentation ceremony after the match. On the final day of the third match on Wednesday, India needed only 17 balls to take the one remaining England wicket. England now leads 2-1 in the five-match Test series. Kohli had earlier posted a message on Twitter praying for the people of flood-hit Kerala. “Everyone in Kerala, please be safe and stay indoors as much as you can. Hope the situation recovers soon. Also, thanking the Indian army and NDRF for their incredible support in this critical condition. Stay strong and stay safe,” he tweeted on August 17. Kerala Chief Minister Pinarayi Vijayan thanked the Indian cricket team for the gesture. 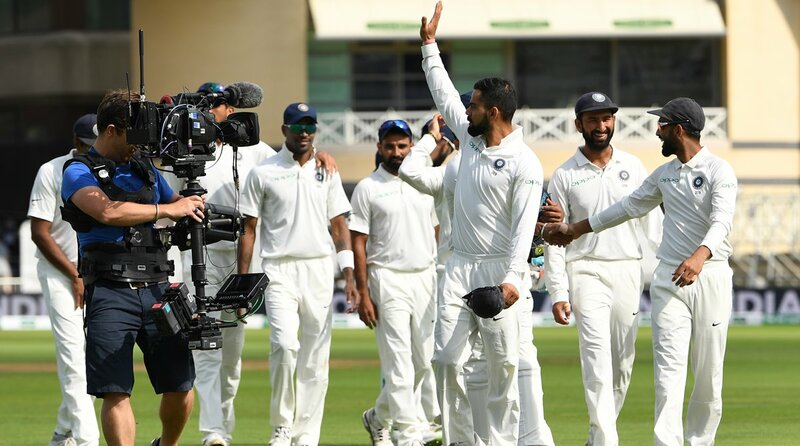 “Indian cricket team has dedicated their Trent Bridge test victory to the flood victims of Kerala. CM Pinarayi Vijayan expressed the gratitude of Kerala to Team India (@BCCI) and Virat Kohli (@imVkohli) for this kind gesture,” the Kerala CMO posted from its official Twitter handle. According to latest official figures, the death toll in Kerala stands at nearly 370 while over 1 million people have taken shelter in more than 3,000 relief camps.